Full featured plans starting as low as $29.99 per month. Check out our Full Featured Pawn Shop user interface, with one click pawn redemptions and load last customer. ELB makes pawn acquisitions and dispositions as easy as 1-2-3 with drop down menus and one click auto fill. ExpressLogBook.com has ushered the A&D logbook into the 21st century with ground breaking technology. The destruction of your A&D log book, which is one of the largest concerns in the firearm industry, has been completely elimanated! Imagine no more concerns of destroyed logbooks due to fire or flood. No more worries that a computer crash will lead to a multi-year ATF log book rebuild. What if you could receive an alert when another member ships you a weapon and log it into your shops ExpressLogBook with a single, error free button push? Wouldn’t it be perfect if the entire program was designed with such simplicity that we have virtually eliminated employee A&D errors, while also creating huge time savings for busy gun store owners? ExpressLogBook is the premier digital ATF compliant internet based web application with worry free Microsoft Cloud Web Servers, instant backups and world class security. You can access your A&D Log from any computer, tablet or smart phone that has internet access. 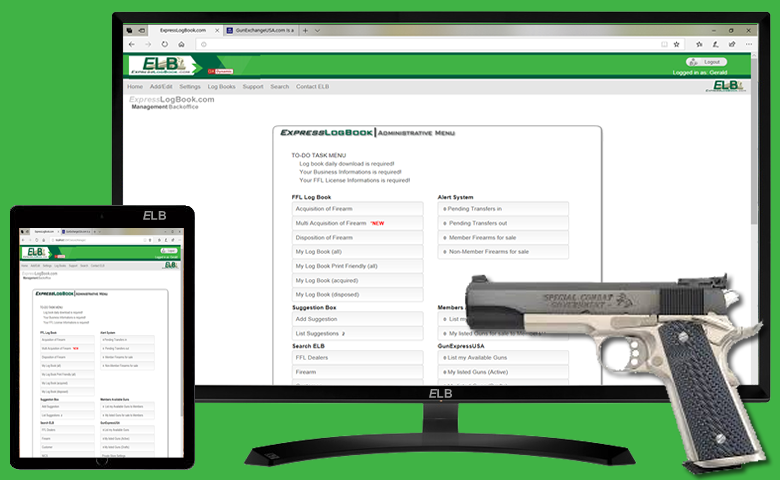 ExpressLogBook is an easy to use web application, which was developed by a fellow FFL dealer, so we know exactly what you need to maintain your firearm's Acquisition and Disposition Log! 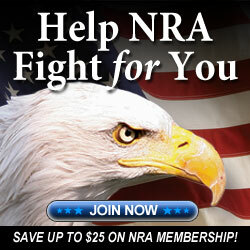 Help the NRA Fight for You Join Today! GunExpressUSA.com provides you with an online Classified Listing and private member web site to sell your Firearms across the country. When these two company’s combined, it changed the way Gun Stores, Pawn Shops, Firearm Distributors and Firearm Manufacturers will forever conduct business. Full featured Gun Store Listing. 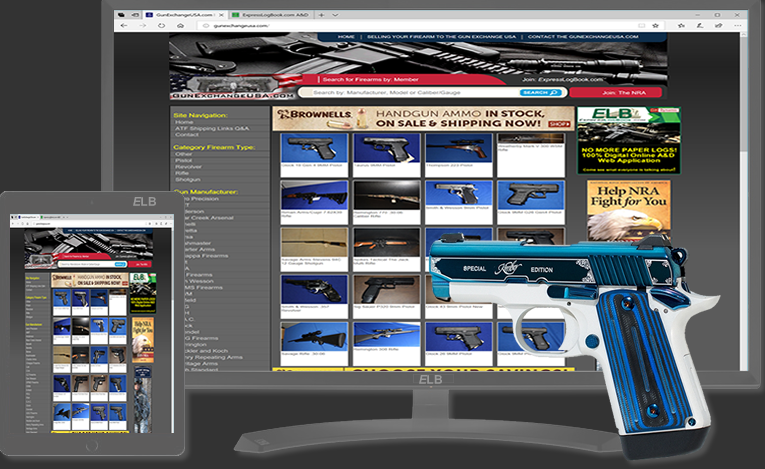 GunExchangeUSA.com has ushered the Gun Store into the 21st century with ground breaking technology. ExpressLogBook.com has ushered the A&D logbook into the 21st century with ground breaking technology! GunExpressUSA.com provides you with an online Classified Listing and private member web site to sell your Firearms across the country. When these two company’s combined, it changed the way Gun Stores, Pawn Shops, Firearm Distributors and Firearm Manufacturers will forever conduct business. The destruction of your A&D log book, which is one of the largest concerns in the firearm industry, has been completely elimanated!Imagine no more concerns of destroyed logbooks due to fire or flood. No more worries that a computer crash will lead to a multi-year ATF log book rebuild. What if you could receive an alert when another member ships you a weapon and log it into your shops ExpressLogBook with a single, error free button push? Wouldn’t it be perfect if the entire program was designed with such simplicity that we have virtually eliminated employee A&D errors, while also creating huge time savings for busy gun store owners? For more information on ExpressLogBook.com and GunExpressUSA.com click on the link below. The regulation at 27 CFR 479.131 requires each manufacturer, importer, and dealer in National Firearms Act (NFA), 26 U.S.C., Chapter 53, firearms to keep and maintain records regarding the manufacture, importation, acquisition (whether by making, transfer, or otherwise), receipt, and disposition of NFA firearms as described by 27 CFR Part 478. Licensees may seek ATF approval to use an alternate method or procedure to record the acquisition and disposition of firearms. Pursuant to 27 CFR 478.122(c), 478.123(c), and 478.125(h), ATF may authorize alternate records of firearms when it is shown by the licensee that the alternate records will accurately and readily disclose the information required to be maintained. The regulations at 27 CFR 478.22 and 27 CFR 479.26, provide that the Director may approve an alternate method or procedure in lieu of a method or procedure specifically prescribed in the regulations when he or she finds that: (1) good cause is shown for the use of the alternate method or procedure; (2) the alternate method or procedure is within the purpose of, and consistent with the effect intended by, the specifically prescribed method or procedure, and that the alternate method or procedure is substantially equivalent to that specifically prescribed method or procedure; and (3) the alternate method or procedure will not be contrary to any provision of law and will not result in an increase in cost to the Government or hinder the effective administration of 27 CFR Part 478 or 479. ATF understands that using computers to record and maintain firearms acquisition and disposition records saves time and money in bookkeeping and auditing expenses. Most businesses computerize inventory, sales, customer lists, and other business records. This allows companies to automate inventories, utilizing various technology (e.g., bar codes). This technology may facilitate better accountability of inventory and reduce the potential for recording errors. Computerized records also facilitate tracing and tracking of firearms through licensee inventories, thus reducing time spent by ATF officials examining records during the inspection process. Additionally, the search capability of electronically-stored records makes it easier and faster for licensees to locate specific records and respond to ATF trace requests. Therefore, ATF finds that there is good cause to authorize a variance from the firearms acquisition and disposition recordkeeping requirements of the Federal firearms regulations.